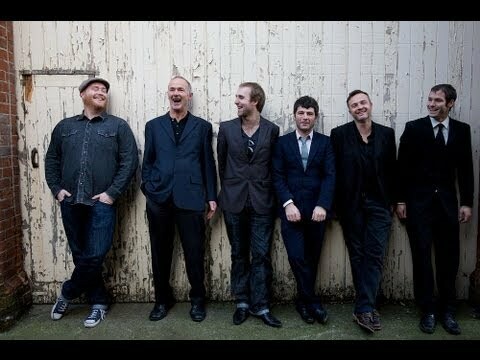 With a diverse line-up featuring Hammond/keys, drums and an upbeat horn section, The Salutations bring you the best of Soul and Funk music, performed by a group of high calibre musicians. Hire them today! Based in Hampshire, this excellent wedding and party band is in serious demand at competitive prices thanks to their provision of lighting, PA system and DJ on top of pure musical talent. This creates a fantastic atmosphere for each and every performance, whether it's on a large scale or for a more low-key event. Featuring classic and ambitious cuts from legends such as Stevie Wonder, James Brown, Bob Marley, Marvin Gaye, Al Green & more, The Salutations' repertoire is rich in big hits and Soul and Jazz favourites. You can check it out for yourself under the setlist tab at the top of this page. The BBC, Jools Holland Aftershow Party (IOW), Bestival, Portsmouth Guildhall, Cowes Week Festival, Isle of Wight Festival, IW Radio awards, Island records, Royal Yacht Squadron, Bembridge Yacht Club, Garlic Festival,Â MIB music, NAMCO, The Rock Garden - London, Ryde Theatre, Portsmouth University, University of Kent, Office Angels, Wight Leisure, LD Transformations Group, SDS Services, Quarr Abbey, Ricochet, The Firkin Group, Industry management, A Town Full of Fonzies, The Bee's, Hipshaker, Fragile records, Vibez Recordings, The Chancers, BBC2 Music E-motion. Find out what some previous clients have thought of this act, have a look at the reviews available on the page. Whatever the setting - be it an outdoor festival, a party, wedding reception or corporate event, The Salutations are reliable, enthusiastic and professional, and guaranteed to please! Check out their recorded audio tracks and live performance video at the side of the page to see for yourself. Get an instant quote and date check online now! Sorry, The Salutations doesn't have any photos right now Send us an enquiry and we'll get back to you, or check out the rest of the act profile. We spent ages looking for a band versatile enough to play our favourite soul and Motown tunes on our big day. From Al Green to Luther Vandross to the Jackson 5, these guys absolutely nailed it! We couldn't have been more thrilled with the Salutations. Everyone kept coming up to us saying it was the best wedding band they'd ever heard. We couldn't agree more! Thank you to the band - our guests never left the dance floor and my new wife couldn't have been more thrilled!